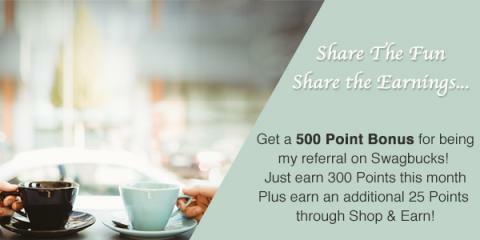 Get up to 300 bonus SB with the new April Swago! Well, we didn’t get a Swago board the last week of March, as we were expecting, so Swagbucks have given us an early April one instead!. You could earn up to 300 SB in the new Swagbucks “Swago” promotion starting Monday April 1st at 8am GMT. In order to get the most out of the Swago Board you will need to install the SwagButton, download the Swagbucks Answer App, the general SB Mobile App, and of course the live trivia app: Swag Live! You have until 02.00am GMT on Tuesday, April 9th to mark off as many squares as possible so use your time sensibly. The Swago board ends on Tuesday April 9th at 02.00am. Make sure you’ve submitted a pattern before then! « Branded Surveys is launching a new dashboard!